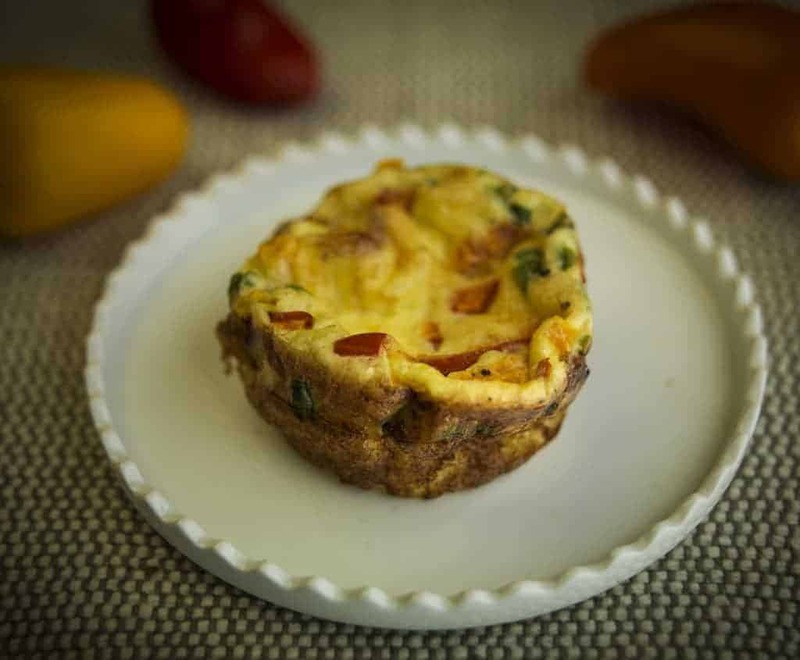 Breakfast Egg Cups | A Super Easy On The Go Breakfast! Breakfast Egg Cups give you all the delicious goodness of an omelette in incredibly convenient bite-sized cups. They are super easy to make and are absolutely delectable to boot! They make a great on-the-go breakfast and they can be customized with the ingredients of your choice. I know there a lot of these recipes out there–but this one is mine. I basically used whatever veggies I thought would make it pretty and colorful. If you don’t like peppers, substitute something else. I’d just be careful not to put “wet” veggies like tomatoes which I think would make it harder to get a dry end product. Easy to make and very yummy. So here without further ado is the recipe. LOOKING FOR MORE DELICIOUS BREAKFAST RECIPES? 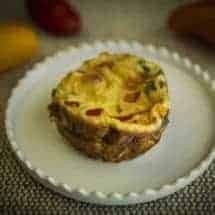 CHECK OUT MY PRESSURE COOKER KETO BROCCOLI HAM & PEPPER FRITTATA! 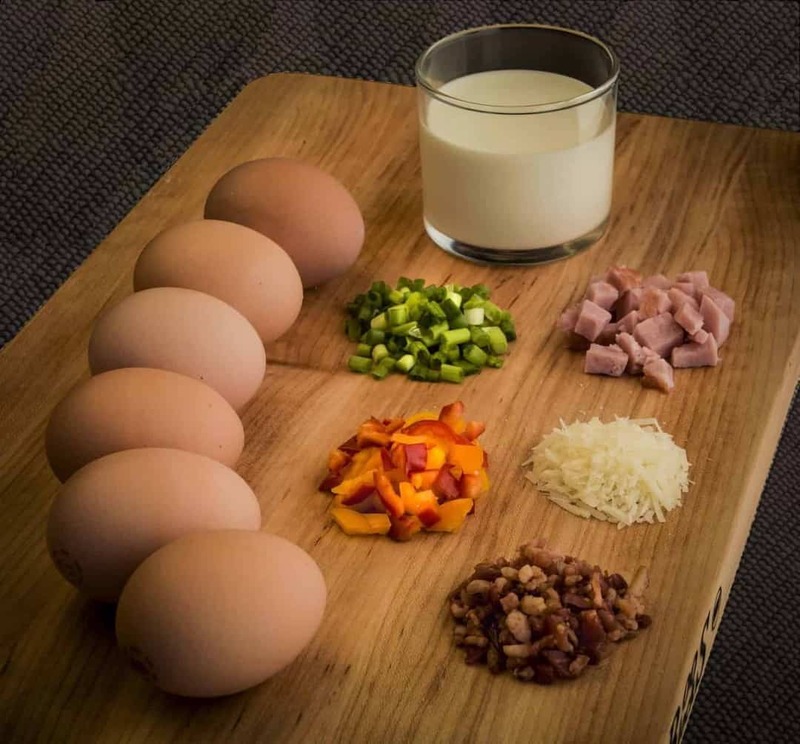 Breakfast Egg Cups give you all the delicious goodness of an omelette in the incredibly convenient form of a cup. They're easy to make and delectable! Beat eggs, half and half and baking powder together. Mix the rest of the ingredients together gently. Spray a 12 cup muffin pan very well. 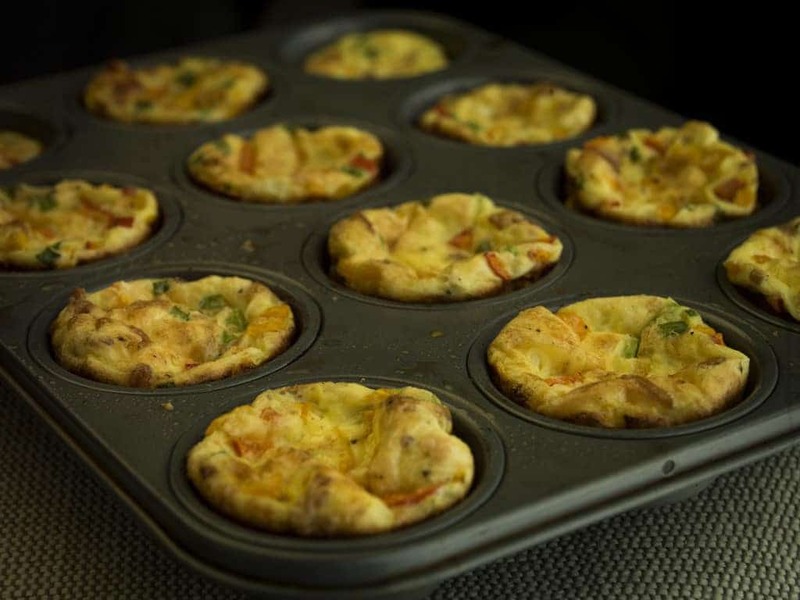 Divide the chopped veggie, meat, and cheese mixture into the bottom of the muffin cups. Pour the egg mixture, being careful not to fill it more than 3/4 of the way full. I did a really bad job dividing evenly so I used a spoon to even it up. This is what happens if you're not a professional chef. Bake for 25-30 mins until a skewer stuck in to the middle comes out clean. I had a tough time getting these out so be careful as you loosen them and get them out.